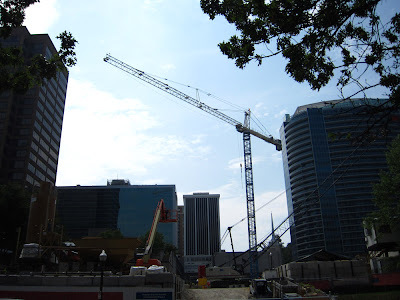 A massive crane is now hard at work constructing the new 1812 N. Moore St. tower. The building will have a shape similar to that of the Washington Monument and will be the tallest office building in the metropolitan Washington DC area. This exciting project will make Rosslyn an even more uplifting destination for visitors.